In the 17th century Sir Isaac Newton created the very first circular color wheel known to art /color theorists. Blue is known as one of the three primary colors on the color wheel. As a primary color, blue can not be made by mixing other colors, but can be combined with other primary and secondary colors to make a variety of different shades and hues. Blue purple colors are considered tertiary colors. Tertiary colors are created by combining a primary (i.e., blue, red, or yellow), with a secondary (i.e., purple, orange, or green) color. In the case of blue purple colors, the primary color of blue is mixed with the secondary color of purple. The result is a dark blue with hints of violet and red. Specific color names may be periwinkle, indigo, or iris. Like blue purples, blue greens are tertiary colors that are created by mixing a primary and secondary color together. In this case the primary blue is mixed with the secondary green. 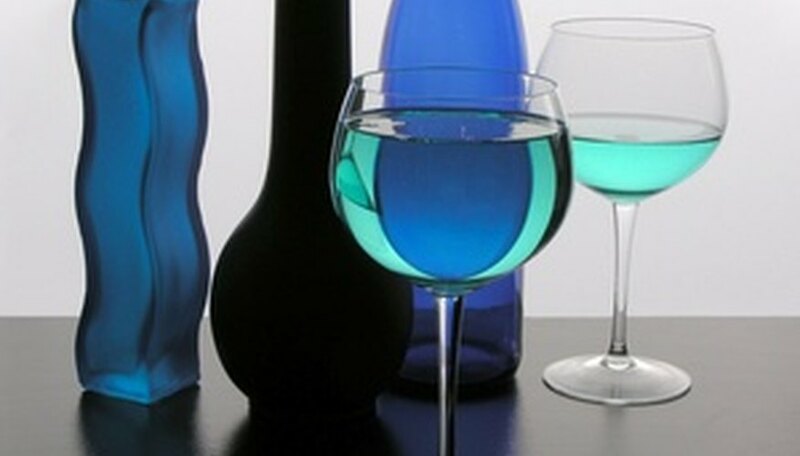 Resulting blue colors appear almost aqua and have hints of yellow to them. Blue green colors may be called cyan, aqua, or teal. In color theory, the words light and dark refer to the value of the color. Lighter value colors can be made by adding white. Adding white to a standard blue will result in a light, baby blue, or robin's egg blue color. Darker value colors can be created by by adding black to the base color. In the case of blue, adding black will result in a dark. midnight or navy color. There are many different names for blue colors. although some such as light or deep blue may be fairly common or standard, others are more specific and often created by organizations or groups. Examples include Dodger Blue (for the baseball team) or Duke Blue (for the university). What Are 15 Shades of Blue?